SpaceX’s Falcon 9 rocket will deliver Space Tango payloads on Commercial Resupply Services – 10 (CRS-10) scheduled to launch on February 18th at 10:01:32 AM EST. 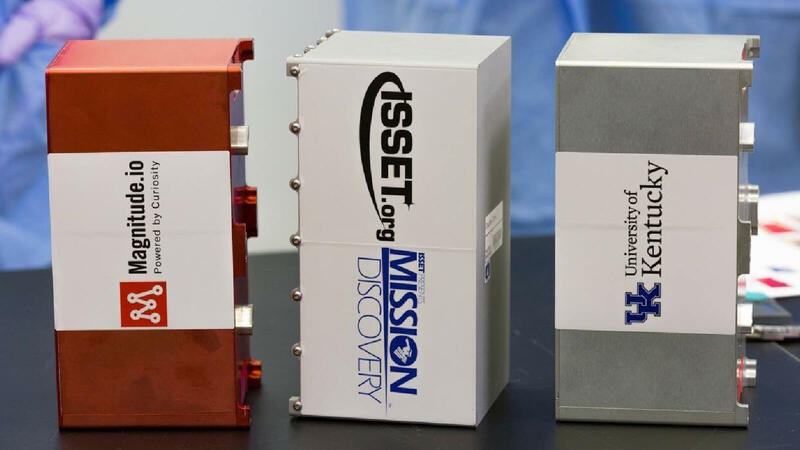 Payloads will be installed in the TangoLab Facility on the International Space Station. CRS-10 is Space Tango’s first commercial opportunity to begin use of the facility hardware for researchers and customers. The Microbial Methane Associated Research Strasbourg No. 1 (MMARS1) flight experiment is a commercial experiment led by Airbus DS in collaboration with its scientific partners the International Space University and the University of Strasbourg. The purpose of this experiment is to study how a strain of methanogen, Methanosarcina barkeri, adapts to the stresses of the space environment, including microgravity and radiation, as a first step towards further studies related to relevant non-early applications of methanogen. Specifically, the goals of the MMARS1 experiment include: 1) to demonstrate the use or pressure measurements to estimate metabolic activity of M. barkeri and the overall experimental approach; 2) to investigate decoupling of metabolic activity from biomass production; and 3) to study the growth of M. barkeri using liquid medium, including time of lag phase, growth rate, and time to stationary phase change under conditions of spaceflight. The Contractile Properties of Smooth Muscle in Microgravity flight experiment is a research/educational experiment led by the Craft Academy in collaboration with its scientific parter – Morehead St. University – and its implementation partner Space Tango. The purpose of this experiment is to evaluate the involuntary cell contractions of aortic smooth muscle cells. Specifically, rat aorta smooth muscle cells – that show expression and promotor activity of several highly restricted smooth muscle cell markers – will be evaluated. The theory of contraction being proposed in this project is that the remodeling of the actin cytoskeleton, specifically that of a-action, is the contractile mechanism within smooth muscle cells, whereas the B-actin serves to maintain the cell’s shape during contraction. If this contraction is observed in microgravity, then supporting or contradictory evidence of contractile cells and potential discoveries may be observed. With space exploration aiming earnestly towards Mars, there are many ideas being discussed to help power the exploration and to utilize everything available within the spacecraft chosen. This experiment will show the usefulness of using microbes feeding on waste matter in a sealed environment to provide a power source to supplement the main fuel sources on the spacecraft. In this experiment, the researcher is aiming to measure the oxygen output and the CO2 intake of a selected form of cactus. This is beneficial to the space station and space travel if CO2 removal/O2 production can be replicated and maintained safely in a microgravity environment. In this experiment, the goal is to determine if there are any visible differences in flight between normal Drosophila flies and mutant Drosophila flies in microgravity. A terrestrial control version of the experiment will also be performed. The specific aim of the experiment is to identify if there are any positive differences in movement by placing the flies in a microgravity environment. The purpose of this experiment is to evaluate the lubricant properties – ability to reduce friction – of 1-butyl-3-methylimidazolium chloride in microgravity. Friction will be generated by placing a motor-controlled wheel slide against a rough surface. Friction with and without the 1-butyl-3-methylimidazolium chloride lubricant will be measured. The Medicinal Plants in Microgravity mission is a research experiment led by the Chappell Lab within the University of Kentucky. The purpose of this experiment is to uncover new chemistries provided through medicinal plants in a microgravity environment. Specifically, the research goal is to unlock novel genetic expressions of chemical capabilities of two plant types – valerian (valeriana officinalis) and periwinkle (catharanthus roseus). This experiment is divided into three phases: 1) establishing a baseline genetic guideline for medicinal plant seeds (non-germinated); 2) germinate medicinal plants in microgravity; and 3) multi-generational plant growth in microgravity that may encourage new gene expression.